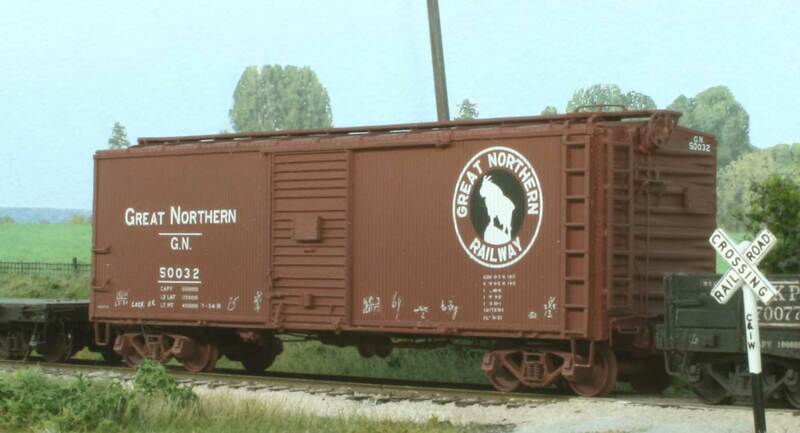 Quite a few HO scale resin kits have been released over five years. New releases are posted on the Kits page of the website and announced here on the blog. 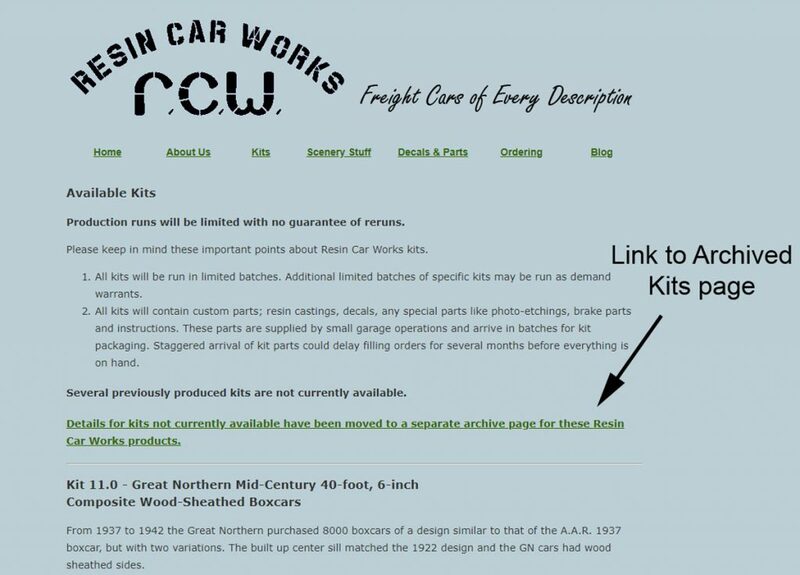 To minimize costs, instructions and extra prototype data for most Resin Car Works kits are posted to an Extras page as file links for download. Current product listings usually have a link to access additional details to assist in building the models, as seen above. The number of kits to sell is often dependent upon the decal or special parts supply. Once the run of decals and/or special parts are gone, the kit is retired. Product info is moved from the Kits page to a separate archive page. In the image above, you can see this link is above the current kit listings. The link accesses a page where retired kits are listed as well as links to each of the Kit extras pages. Access to the retired kit details remains on the website but the access point moves to the kit archive page. The first RCW kits were acid tank car kits. An image of a completed model leads this post. You can access the instructions and extras from the Kits page. Click that link for the separate archive, then scroll down to find the kit. Our first kits are listed at the bottom with more recent kits added to the top of the list. Click on the model image or product name to go to the info page. 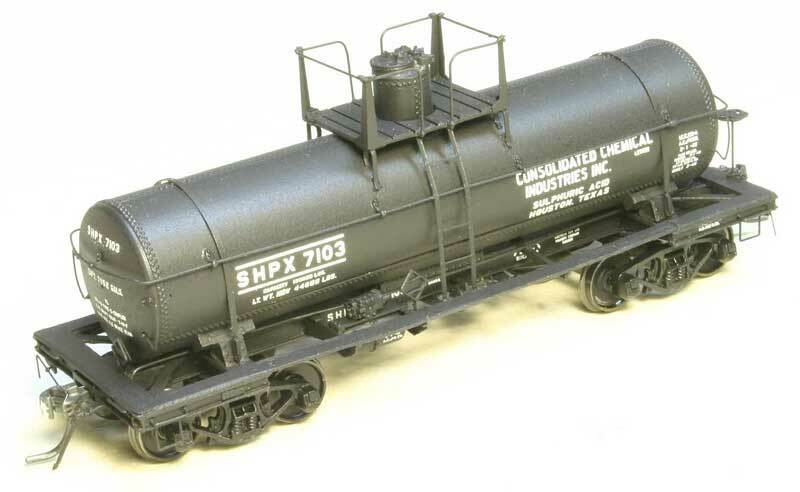 Since there were several paint and lettering variations for the acid tank car kits, the full product listing page appears. The Extras page for these kits can be accessed via the link above the first image. Follow these simple steps to find instructions and extra information for each Resin Car Works kit. As a reminder, some orders can take a few months to fulfill. Staggered arrival of kit parts could delay filling orders for several months before everything is on hand. There may also be delays in filling orders for “mature” kits as we wait for demand to justify additional molds. Checks are not cashed until the order is ready to ship. We thank you for your support over our first five years. We look forward to producing more kits in the upcoming months. Would love to see a late version X-5 tank car rereleased. 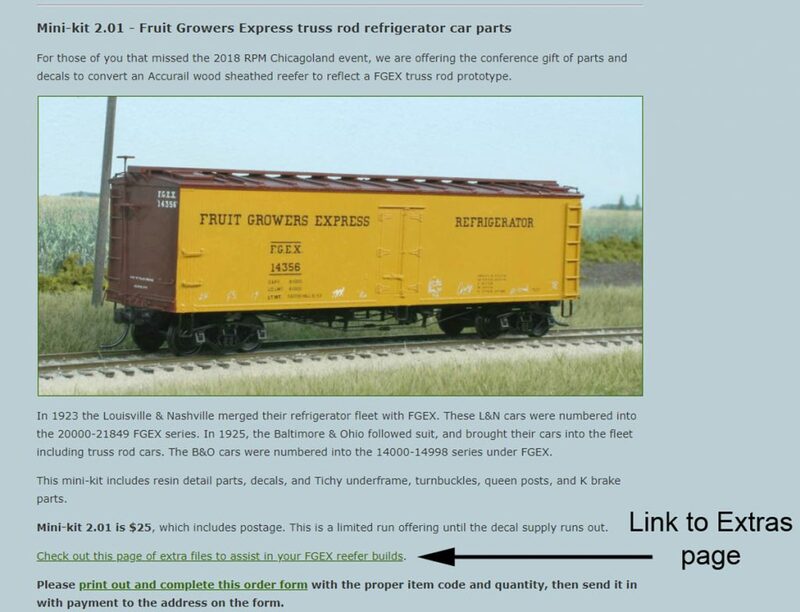 Something for us late 1970s era modelers for propane, anhydrous, etc would be great to see.